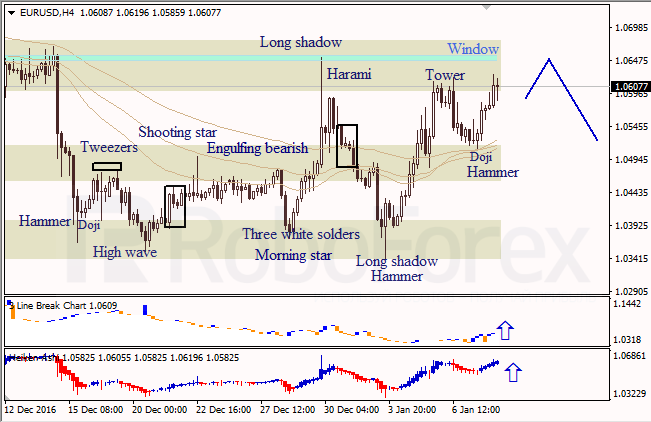 At the H4 chart of EUR USD, bullish Doji and Hammer patterns indicated an ascending movement. The closest Window is a resistance level. Three Line Break chart and Heiken Ashi candlesticks confirm a bullish direction. 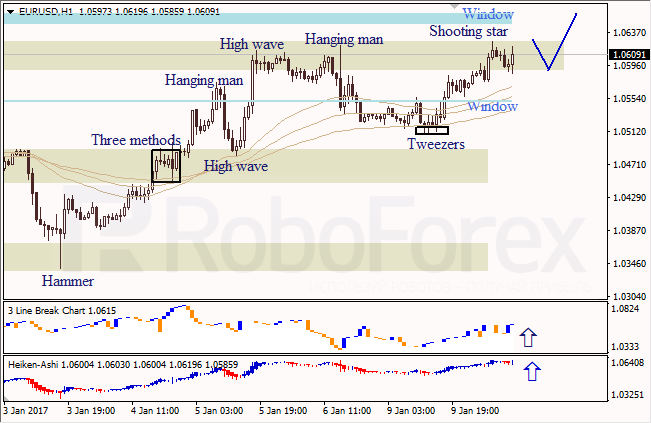 At the H1 chart of EUR USD, bullish Tweezers pattern indicated an ascending movement. Three Line Break chart and Heiken Ashi candlesticks confirm the ascending movement; Shooting Star pattern shows a possible bearish pullback. 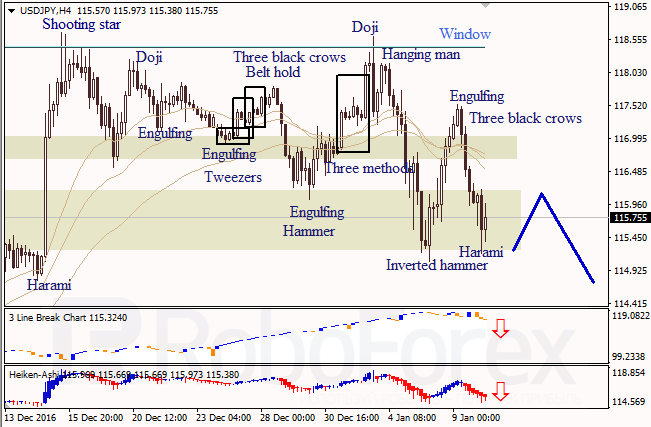 At the H4 chart of USD JPY, Engulfing Bearish and Three Black Crows pattern indicated a descending movement. Three Line Break chart and Heiken Ashi candlesticks confirm the descending movement; Harami pattern shows a possible bullish pullback.